Married to Yonarui and they have a daughter, Alenni Ximma, and a son, Alen Jr.
Set career-highs in games played (110), hits (74), doubles (17), triples (five), home runs (eight) and RBI (39) in his first season with San Francisco...Had his contract selected from triple-A Sacramento on April 28 to replace Joe Panik (left thumb sprain)...Was 11-for-29 (.379) with two doubles, two homers, eight RBI, three walks and seven runs scored as a pinchhitter...his .379 clip as a pinch-hitter was fourth-best in the NL...Started 65 games for SF, making 31 starts at second base, 15 in left field, 12 at shortstop, six at third & one in right field...Clubbed a three-run homer in his first at-bat as a Giant on April 28 vs. Los Angeles-NL in the first game of a doubleheader...Had a career-best four RBI in the Giants' 11-2 win at Atlanta on May 5. ..Placed on the 10-day injured list on May 14 (retro to May 13) with a left hamstring strain...missed 18 games before returning from his rehabilitation assignment and being reinstated to the active roster on June 2...Hit his second career pinch-hit homer on June 6 vs. Arizona...was a game-tying, two-run homer with two outs in the 9th inning off Brad Boxberger...His third career pinch-hit homer also was a two-run, game-tying homer, this time coming September 3 at Colorado off Seunghwan Oh in the 8th inning. Opened the season with Pittsburgh and made the Opening Day roster before joining the White Sox in June ... Was designated for assignment by the Pirates on June 2, claimed off waivers by the Sox on June 9 and added to the roster on June 10 ... Combined to hit .221 (48-for-217) with 36 runs, nine doubles, three triples, four home runs, 11 RBI, 36 runs scored, 12 walks and 11 stolen bases over 106 games between the two teams. Entered the season rated by Baseball America as the organization's fastest baserunner...Spent majority of season with Triple-A Indianapolis...Set career high in stolen bases...Shared International League lead in caught stealings...Was recalled by Pittsburgh on 5/16 when Starling Marte went on the Paternity List; made big league debut that night and struck out as a pinch hitter vs. Atlanta...Singled off Atlanta's Bud Norris for first Major League hit on 5/17...Returned to Indy on 5/19 and went 2-for-34 in 10 Triple-A games between 5/20-30...Hit .486 (17-for-35) in an 11-game stretch with Indianapolis between 7/1-9...Had a 13-game hitting streak between 7/30 and 8/12 (19-for-55, .345) and hit safely in 20 of his final 23 Triple-A games (32-for-99, .323)...Hit a walkoff grand slam on 8/15 vs. Louisville...Was recalled on 8/30 and remained with the Pirates for the rest of the season...Made first Major League start (second base) on 9/17 at Cincinnati (game 1) and went 1-for-2 with two walks while also collecting first big league RBI...Produced first career two-hit and two-run game on 9/23 vs. Washington ...Went 3-for-15 with an RBI in his five starts with the Pirates (all at second base). Entered season ranked by Baseball America as the organization's seventh-best prospect...Also rated by the same publication as the "Best Athlete" and "Fastest Baserunner" in the Pirates minor league system...Spent entire season with Triple-A Indianapolis...Was selected to the International League mid-season All-Star team...Shared league lead in stolen bases; also tied his career high in that department...Ranked second among International League leaders in triples...Made 111 appearances at second base, seven at third base and one at shortstop (8/5 at Durham)...Led league second basemen in fielding percentage (.984), assists (352) and total chances (559)...Was the club's most-used leadoff batter, appearing in 109 games from the top spot of the order...Had seasonhigh four hits on 5/1 vs. Lehigh Valley and went on to capture the league's Player-of-the-Month award for May after hitting .362 with 22 runs, 16 extra-base hits and 18 RBI in 28 games...Became the first Indy player to win the monthly honor since Zach Duke in May of 2005...Was on the D.L. from 6/17-30...Returned to action and had an inside-the-park home run on 7/1 - the first for an Indianapolis player since 2011...Missed four games while on the temporary inactive list from 8/25-28. Entered season ranked by Baseball America as organization's sixth-best prospect...Spent entire season with Double-A Altoona and was named to the Eastern League mid-season All-Star team...Led the league in triples and was tied for fourth in total bases (213)...Was tied for third among Pirates minor leaguers in stolen bases...Made 100 starts at shortstop and 17 at second base; committed 29 of his 33 errors while playing short...His first home run was a leadoff shot on 5/1 at Erie (game 1)...Hit six home runs and knocked in 22 runs in 30 games during the month of May...Hit safely in 13 straight games from 6/1-17 (20-for-55, .364)...Was removed from game one of doubleheader on 6/21 at Portland and missed next six games...Returned to action on 6/27 vs. Binghamton...Batted.303 (27-for-89) in June (21 games)...Led off game on 7/2 at Bowie with a home run and led off bottom of first with a homer on 7/5 vs. Harrisburg...Went 0-for-2 in the Eastern League All-Star Game and scored a pair of runs...Tallied game-winning hit for Curve with a single in top of the ninth on 7/22 at New Britain...Hit .308 (36-for-117) with four home runs and 14 RBI in July...Took over second base duties on 8/2...Connected for his fourth leadoff home run on 8/19 at Akron...Was placed on disabled list on 8/25 with hamstring injury...Reached base safely in each of his last 27 games from 7/22 to 8/22 before going on the D.L. ; was six games shy from matching the franchise record set by Ronny Paulino in 2004...Played seven games with Toros del Este in the Dominican Winter League; went 5-for-18 (.278) with three walks, a homer and two RBI. Began season ranked by Baseball America as the fifth-best prospect in the Pirates system and the second-highest position player behind Gregory Polanco...Was also ranked by MLB.com as the 54th-best prospect in MiLB entering the season...Hit .274 (138-for-504) with 27 doubles, 13 triples, eight home runs, 58 RBI and 30 stolen bases in 127 minor league games between High-A Bradenton and Double-A Altoona...Made all 127 defensive appearances at shortstop and made 32 errors...Ranked fourth among Bucco farmhands in stolen bases...Established career highs in games and at bats...Was selected to the Florida State League mid-season All-Star team; went 1-for-5 with a three-run homer in the contest and was named the game's MVP...Went hitless in his first two games with Bradenton before hitting safely in seven straight games from 4/6-13...Tallied his first of three four-hit games on 4/21...Hit .371 (13-for-35) with five multi-hit games during an eight-game hitting streak from 5/7-15...Tripled twice while collecting four hits on 5/22 vs. Tampa...Hit .311 (32-for-103) in 27 games during the month of May...Batted .500 (14-for-28) during a seven-game hitting streak from 6/12-21...Was on 7-day D.L. with a left hamstring strain from 6/29 thru 7/6...Had a season-best, nine-game hitting streak from 7/19-28 (11-for-36, .306); also had at least one RBI in eight of the nine games during the streak (13 total)...Had 17 RBI in 20 games with the Marauders during the month of July...Was promoted to Altoona on 7/30 and went 0-for-5 with three K's in his Double-A debut that night...Collected his first Double-A hit while beating out an infield single on 7/31 vs. Binghamton...Hit lone homer with Altoona on 8/14 vs. Portland...Tripled twice on 8/29 at Harrisburg...Hit safely in 12 of his last 14 Double-A games (20-for-55, .364) to raise average from .183 to .255...Participated in the Arizona Fall League and hit .253 (20-for-79) with a homer, 10 RBI and six stolen bases in 21 games with the Scottsdale Scorpions...Also played six games with Toros del Este in the Dominican Winter League; went 4-for-17 (.235) with a walk and two stolen bases. Spent entire season with Low-A West Virginia...Led South Atlantic League in runs, triples and total bases (258)...Also ranked second in hits, tied for second in extra-base hits (62), fourth in slugging percentage and fifth in batting...Was named to the league's mid- and post-season All-Star teams..Ranked third among Pittsburgh farmhands in batting and second in stolen bases; tied for second in home runs...Made all 104 defensive appearances at shortstop (his first season used exclusively at short) and committed a career-high 40 errors...Also batted .345 (29-for-84) with eight doubles, three homers and 12 RBI in 20 games as the designated hitter...Hit .410 (43-for-105) in 24 games during the month of April, which included a 16-game hitting streak from 4/9-26 (30-for-72, .417)...Was hitting .402 with a 1.111 OPS following the action on 5/3 (27 games)...Went 4-for-4 on 5/26...Scored at least one run in nine straight games from 7/1-10 and in 15 of his 16 games from 6/23 thru 7/10...Recorded his second four-hit game on 7/5...Hit .320 (24-for-75) in 20 games during the month of August...Was selected as the league's best shortstop following the season in a poll conducted from the 14 SAL team's field managers, general managers, sports writers and broadcasters...Was also ranked by Baseball America as the sixth-best prospect in the South Atlantic League following the season. Spent majority of season with the GCL Pirates, where he led the league in triples...Also ranked second in stolen bases and fourth in runs scored...Made 39 appearances at shortstop and 13 at second base...Had career-high five RBI in second game on 6/21 vs. GCL Blue Jays...Had three hits, four RBI and a career-high four stolen bases on 6/29 at GCL Yankees; also hit final home run on 6/29...Hit .400 (14-for-35) with 12 RBI in his first nine games thru 6/30...Finished season playing last three games with State College in NYP League. Began professional career playing with Dominican Summer League Pirates...Ranked eighth in the league in batting, tied for fourth in runs and fifth in total bases (109)...Made 40 appearances at second base, 21 at third base and 11 in left field...Hit .353 (18-for-51) against LHP and .316 (61-for-193) against RHP...Spent majority of the season batting second in the lineup. April 4, 2019 Toronto Blue Jays activated 2B Alen Hanson. March 28, 2019 San Francisco Giants designated 2B Alen Hanson for assignment. June 2, 2018 San Francisco Giants activated 2B Alen Hanson from the 10-day injured list. May 30, 2018 San Francisco Giants sent 2B Alen Hanson on a rehab assignment to San Jose Giants. May 14, 2018 San Francisco Giants placed 2B Alen Hanson on the 10-day disabled list retroactive to May 13, 2018. Left hamstring strain. April 28, 2018 San Francisco Giants selected the contract of 2B Alen Hanson from Sacramento River Cats. January 25, 2018 San Francisco Giants signed free agent 2B Alen Hanson to a minor league contract and invited him to spring training. January 25, 2018 2B Alen Hanson assigned to Sacramento River Cats. 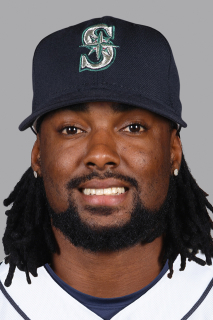 December 1, 2017 RF Alen Hanson elected free agency. November 21, 2017 2B Alen Hanson assigned to Toros del Este. June 10, 2017 Chicago White Sox activated RF Alen Hanson. June 9, 2017 Chicago White Sox claimed 2B Alen Hanson off waivers from Pittsburgh Pirates. June 2, 2017 Pittsburgh Pirates designated 2B Alen Hanson for assignment. August 30, 2016 Pittsburgh Pirates recalled 2B Alen Hanson from Indianapolis Indians. May 19, 2016 Pittsburgh Pirates optioned 2B Alen Hanson to Indianapolis Indians. May 16, 2016 Pittsburgh Pirates recalled Alen Hanson from Indianapolis Indians. March 18, 2016 Pittsburgh Pirates optioned SS Alen Hanson to Indianapolis Indians. October 8, 2015 Alen Hanson roster status changed by Pittsburgh Pirates. October 5, 2015 Pittsburgh Pirates recalled SS Alen Hanson from Indianapolis Indians. August 29, 2015 Indianapolis Indians activated SS Alen Hanson from the temporarily inactive list. August 25, 2015 Indianapolis Indians placed SS Alen Hanson on the temporarily inactive list. July 1, 2015 Indianapolis Indians activated SS Alen Hanson from the 7-day disabled list. March 19, 2015 Pittsburgh Pirates optioned SS Alen Hanson to Indianapolis Indians. October 2, 2014 Alen Hanson roster status changed by Pittsburgh Pirates. September 29, 2014 Pittsburgh Pirates recalled Alen Hanson from Altoona Curve. September 9, 2014 Altoona Curve activated SS Alen Hanson from the 7-day disabled list. March 10, 2014 Pittsburgh Pirates optioned SS Alen Hanson to Altoona Curve. December 5, 2013 SS Alen Hanson assigned to Toros del Este. November 20, 2013 Pittsburgh Pirates selected the contract of Alen Hanson from Altoona Curve. July 29, 2013 Alen Hanson assigned to Altoona Curve from Bradenton Marauders. July 21, 2013 Alen Hanson roster status changed by Bradenton Marauders. June 29, 2013 Bradenton Marauders placed SS Alen Hanson on the 7-day disabled list. April 2, 2013 SS Alen Hanson assigned to Bradenton Marauders from West Virginia Power. March 5, 2013 SS Alen Hanson assigned to Pittsburgh Pirates. October 14, 2012 SS Alen Hanson assigned to Toros del Este. April 4, 2012 Alen Hanson assigned to West Virginia Power from State College Spikes. August 31, 2011 Alen Hanson assigned to State College Spikes from GCL Pirates. June 20, 2011 Alen Hanson assigned to GCL Pirates from DSL Pirates. May 28, 2010 DSL Pirates signed 2B Alen Hanson.